Yep. Believe it or not, this is not a stunning picture of a chameleon. 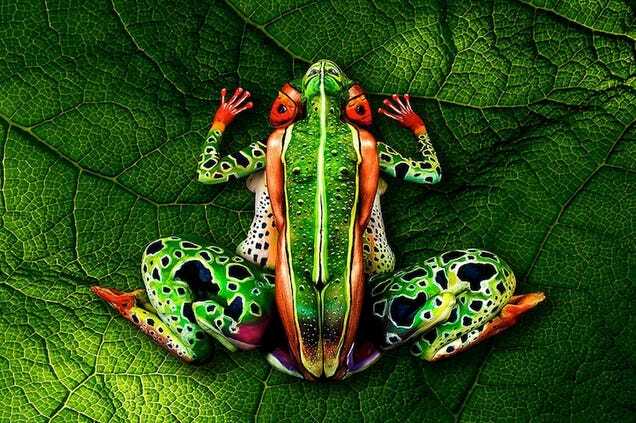 It is the latest bodypaintng piece by the Italian artist Johannes Stötter. I had to wait until the end of the video to realise there were actually two women.